Thinking about your next trip to this part of the world? Torquay should certainly be part of your plan. This is a terrific scene in which to relax, participate in activities or meet new friends. 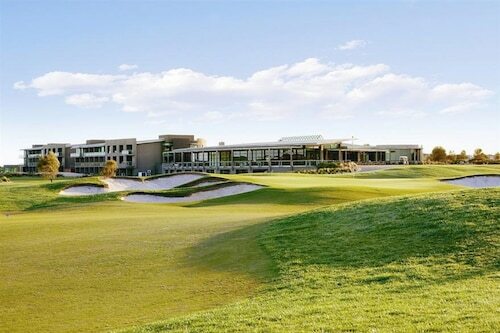 This location can be found 80 kilometres from Melbourne, the state capital. It's also approximately 9 kilometres from Mount Duneed. Planning a family day out? You'd do well to head to Bell's Beach, a popular coastal spot where you can get some rest while the kids blow off some steam. The Surf World Museum is a great place to give your brain a workout. Spend a while walking through the collection and soaking up all of the knowledge on display. Torquay Central Farmers Market, the main shopping plaza in the region, is an excellent spot for keepsakes, fashion and essentials. If you're travelling with someone who lives and breathes golf, why not make their day and book them a round or two at the Torquay Golf Club. If you've got an extra day, and you've crossed off all of the major landmarks and tourist spots, you can still find plenty to do. Think about heading to the slightly more humble sites, such as Epic Surf School. 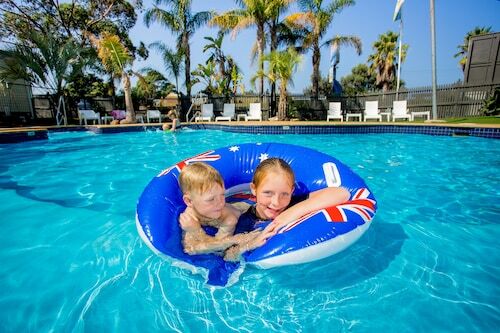 This family-friendly Torquay campground is located by the ocean, within a 10-minute walk of Surf World Museum, Torquay Central Farmers Market, and Torquay Visitor Information Centre. Front Beach and Torquay Golf Club are also within 1 mi (2 km). 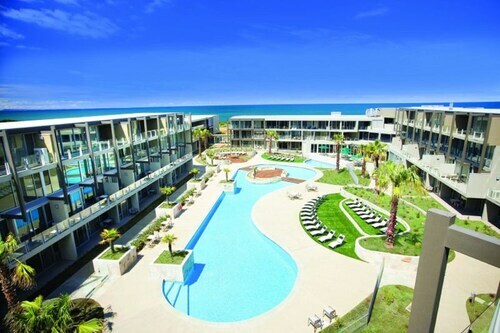 This family-friendly Torquay resort is located by the ocean, within 1 mi (2 km) of Front Beach, Torquay Central Farmers Market, and Surf World Museum. Torquay Visitor Information Centre and Torquay Golf Club are also within 3 mi (5 km). 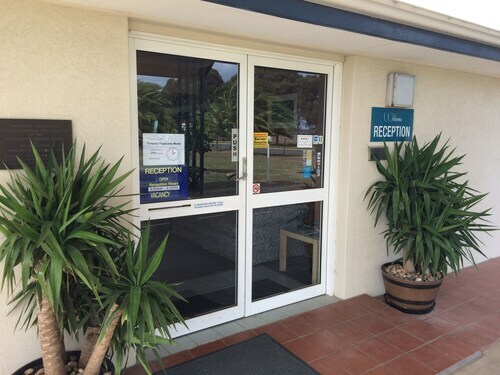 Located in the heart of Torquay, this motel is within a 10-minute walk of Surf World Museum and Torquay Visitor Information Centre. Torquay Central Farmers Market and Front Beach are also within 1 mi (2 km). 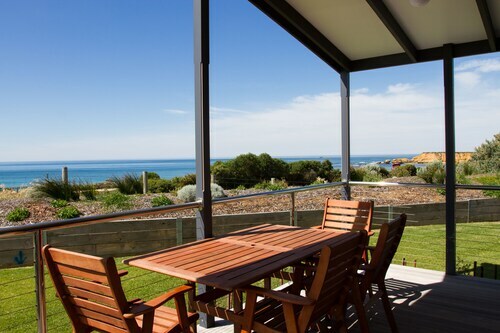 Located in Torquay, this beachfront cabin is in a shopping district and within a 15-minute walk of Front Beach, Torquay Golf Club, and Torquay Central Farmers Market. Surf World Museum and Torquay Visitor Information Centre are also within 1 mi (2 km). Situated by the ocean, this romantic hotel is within 1 mi (2 km) of Front Beach, Torquay Central Farmers Market, and Surf World Museum. Torquay Visitor Information Centre and Torquay Golf Club are also within 3 mi (5 km). Situated by the ocean, this luxury hotel is within 3 mi (5 km) of Front Beach, Torquay Central Farmers Market, and Surf World Museum. Torquay Visitor Information Centre is 2.3 mi (3.6 km) away.